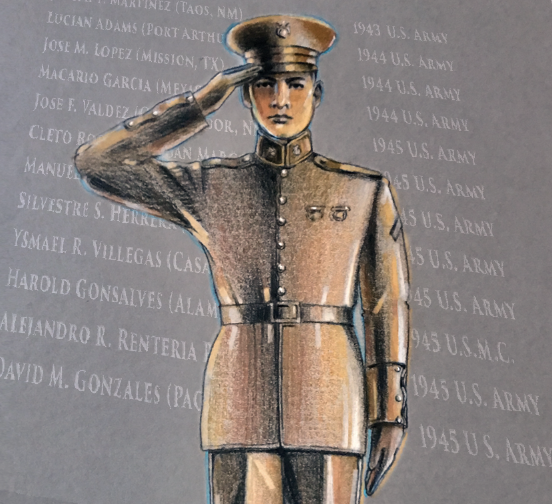 Fundraising has begun for the bronze sculpture of Pfc. Eugene A. Obregon USMC, a 19 year-old Latino American from East Los Angeles, who was posthumously awarded the Medal of Honor for saving a fellow Marine’s life at the cost of his own. His sacrifice represents the Monument’s theme of brotherhood. 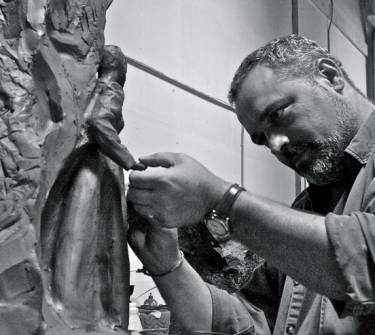 Figurative artist Erik Blome: Chicago based sculptor and master of bronze realism, capturing uncanny likeness with emotion and nuance, his poignant design schemes dot the nation from coast to coast. 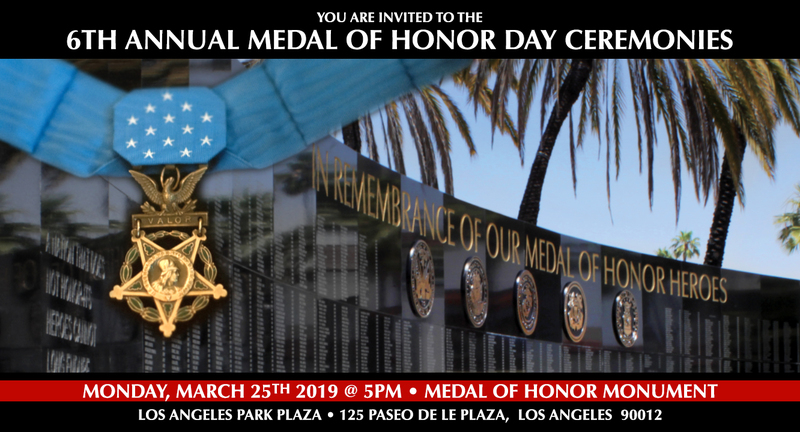 It’s located in the heart of Los Angeles’ historic birthplace known as “El Pueblo.” The "Wall of Honor" is an impressive a 36 foot-long, curved granite wall bearing the inscribed names of all of the nearly 3,500 Medal of Honor recipients awarded throughout American history since the medal's inception by President Abraham Lincoln during the Civil War. 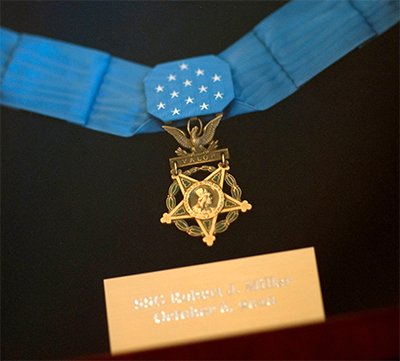 Engravings of the medals themselves and Inset cast bronze medallions represent the 5 military branches.